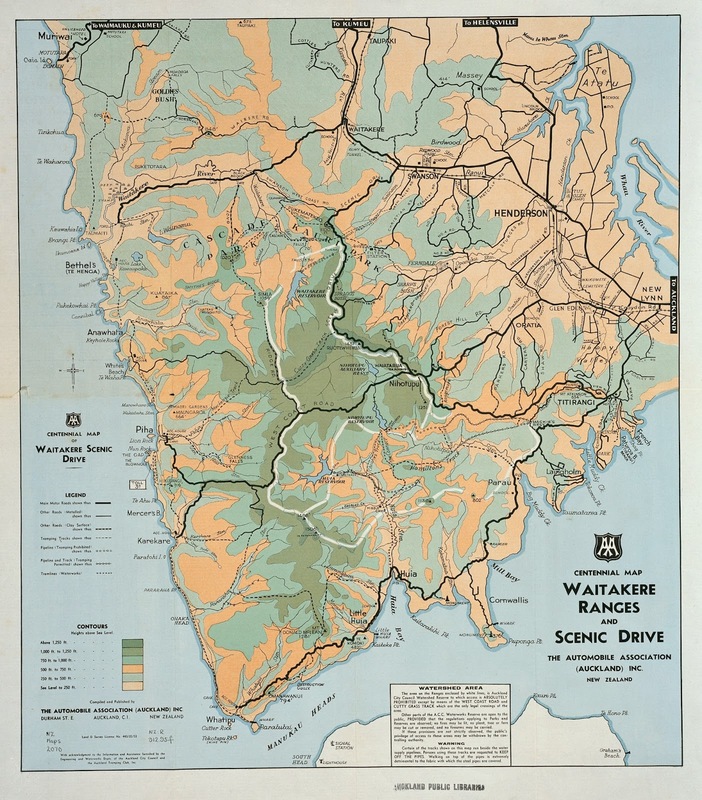 Sir George Grey Special Collections holds a number of road, street and tramping track maps produced by the Automobile Association (AA). The following information is from John McCrystal's book 'One hundred years of motoring in New Zealand' which provides a great introduction to the history of the organisation. The AA was founded in 1903 and began as an automobile club for motoring enthusiasts. One of the earliest functions of the associations was signposting. In 1915, members of the Auckland branch of the AA began voluntarily marking routes. In 1925, Roy Champtaloup drew the first official AA road map by hand. 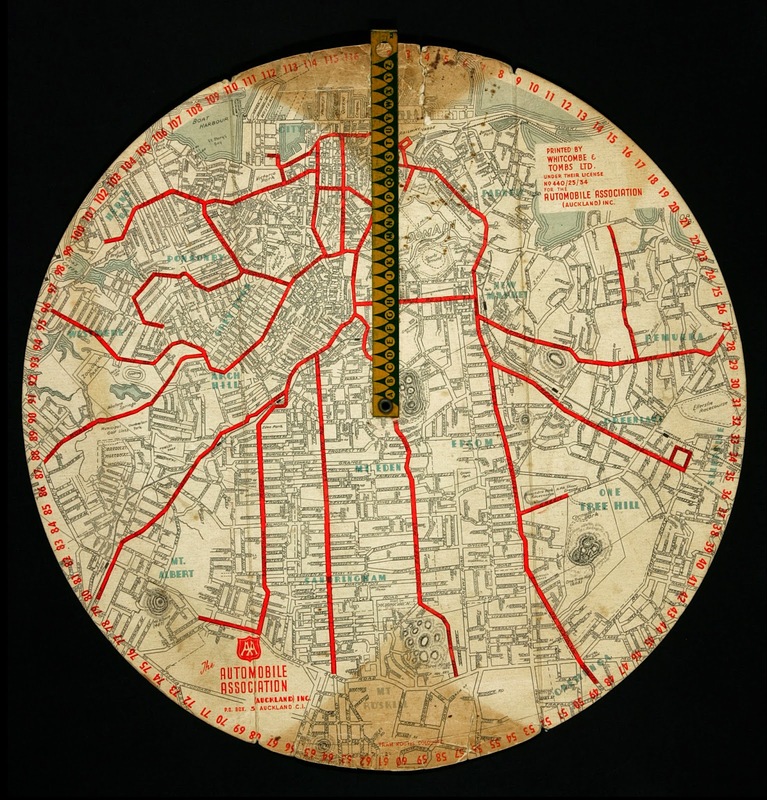 Soon afterwards map making became more sophisticated, and for a time, both the Auckland and Wellington associations had their own cartographic departments. The oldest AA map in Sir George Grey Special Collections was published in 1926, and is a road map from Auckland to the North Cape. 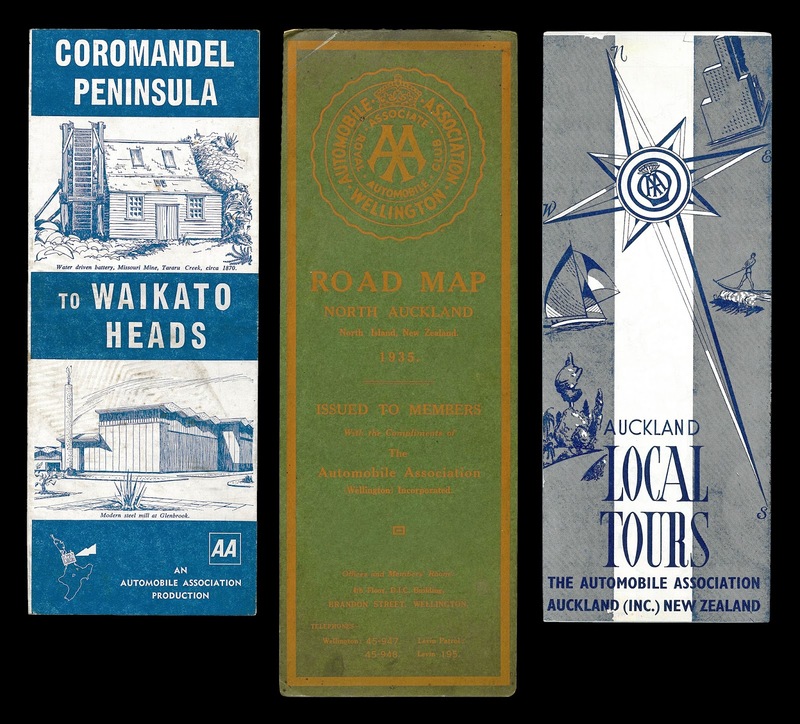 Ref: A selection of AA maps from Sir George Grey Special Collections, Auckland Libraries. Clockwise from top left corner: NZ map 7411, NZ map 7408, NZ map 6363, NZ map 7684, NZ map 7445. 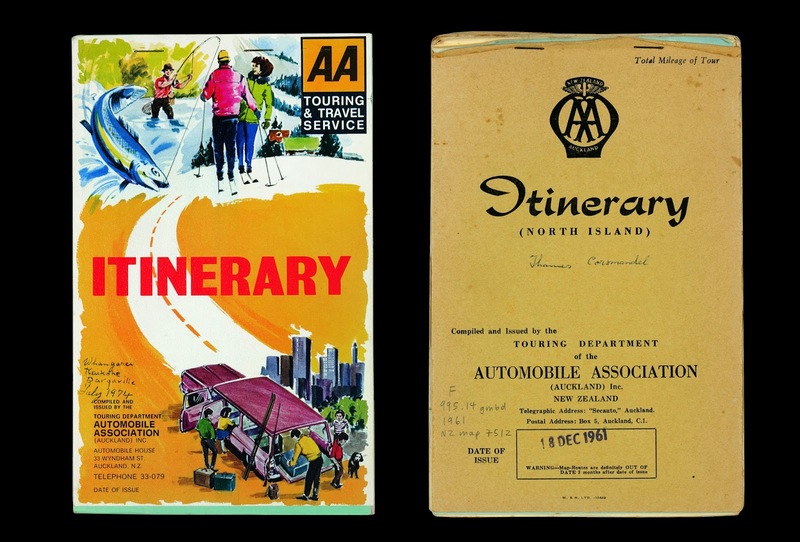 The AA maps in the Sir George Grey Special Collections cover a period of over eighty years. AA maps can be difficult to date correctly because they often do not have the date they were published printed on the map. Plus, the same maps were sometimes reprinted with a different cover at a later date. From left: NZ map 1285a, NZ map 670, NZ map 7443. From a design perspective, the AA maps showcase various graphic design trends - from typographic changes to the use of illustrations or photography - over a stretch of time. 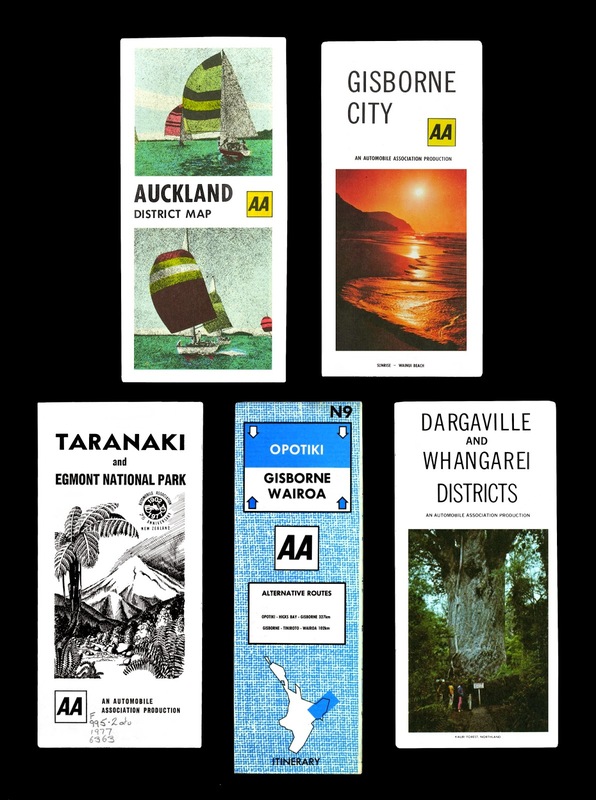 Ref: From left: Itinerary (Whangarei, Kaikohe, Dargaville), about 1974, NZ map 7504, North Island Itinerary (Thames, Coromandel), 1961, NZ map 7512, Sir George Grey Special Collections, Auckland Libraries. The two itineraries above include a number of maps and specific information about route options, road conditions, local history and environmental points of interest. From the NZ map 7512 itinerary there is a comment on the Whitianga to Coromandel via Kuaotunu route: "An interesting road, with exceptionally fine coastal scenery, splendid beaches and panoramas of both coasts. The shorter and more direct, but less interesting [route], is described overleaf." Motorists could choose their route maps and staple them together to form personalised itineraries. The AA maps come in a number of different shapes: they can be thin and long, pocket-sized, large and square, or circular. A small percentage of the maps in Sir George Grey Special Collections have been digitised and are accessible via the Heritage Images database. To find maps in the collection which have not been digitised, you can ask at the reading room desk or by email.